On Monday 12 December ESA handed over ownership of the Orion European Service Module test article to NASA at the agency’s Plum Brook facility – marking the end of individual testing for the structure. This version was built in Turin, Italy, and shipped to the US in November 2015 for a comprehensive series of tests at Plum Brook in Ohio, USA. A little over 5 m in diameter and 4 m high, the service module weighs 13.5 tonnes. Over the last year the item has been shaken to reproduce the vibrations of launch and put in the acoustic chamber to check it can withstand the extreme sounds of a rocket ascent. The solar wings were unfurled as they would be shortly after launch to make sure that the system works as planned. 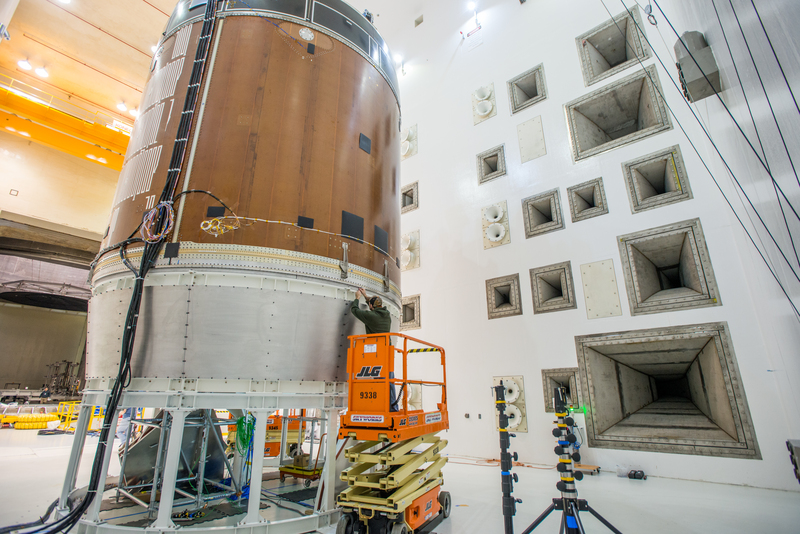 When Orion is launched it will be bolted to a spacecraft adapter that keeps it in place inside NASA’s Space Launch Systems rocket. A separation system will fire to break it away from the vehicle – this was the last test conducted at Plum Brook. The module has passed its rigorous testing and will now be used by NASA in conjunction with the Orion Crew Module Structural Test Article for further testing at vehicle level. ESA’s European Structural Test Article testing in NASA’s accoustic test facility in Plum Brook, USA. The first European hardware to arrive at NASA for Orion is the European Service Module structural test article. This test version of the service module has the same weight and configuration as the real thing and will undergo advanced testing at NASA’s Plum Brook Station in Ohio, USA. 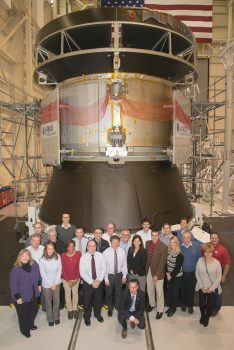 “It is a proud moment for ESA and the industry teams that have been working on the service module to have passed all tests with flying colours and hand over the hardware to NASA,” says ESA programme manager Philippe Deloo, at Plum Brook for the ceremony. 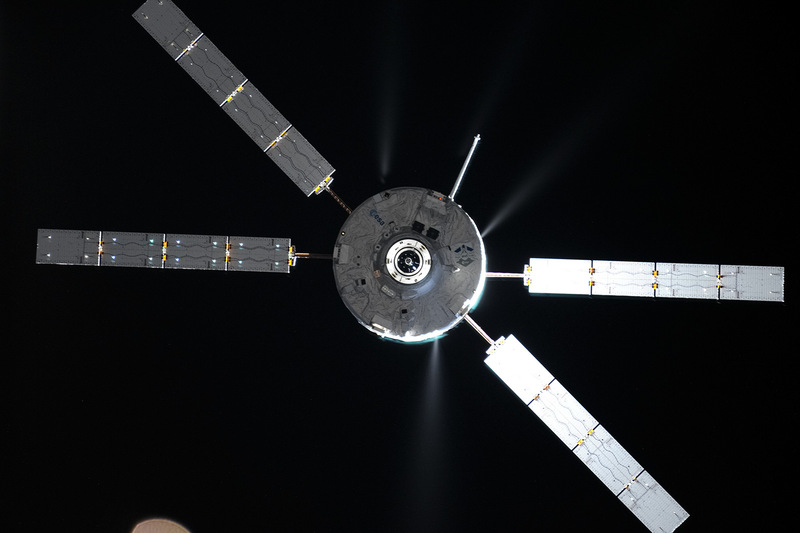 More than 20 companies around Europe are working on the project, most building on their expertise earned from the five Automated Transfer Vehicles that delivered cargo to the Space Station and boosted its orbit from 2009 to 2015. 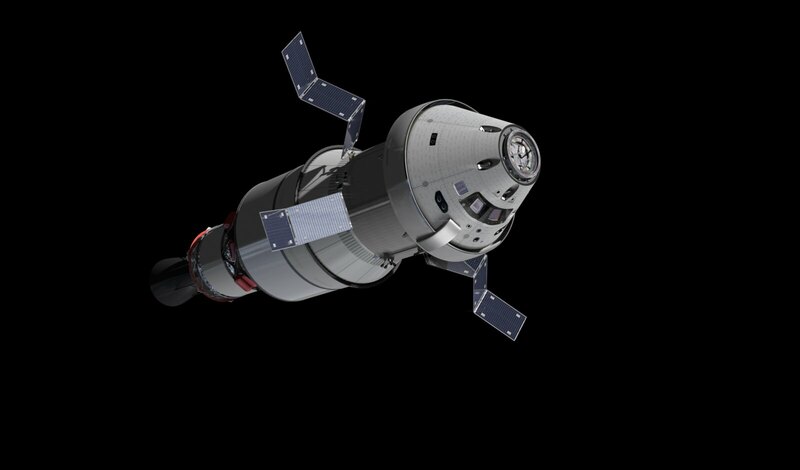 The first, uncrewed, launch of the full Orion vehicle is planned for 2018 with the first European Service Module. It will fly beyond the Moon and back, returning to Earth at higher speeds than any other previous spacecraft. 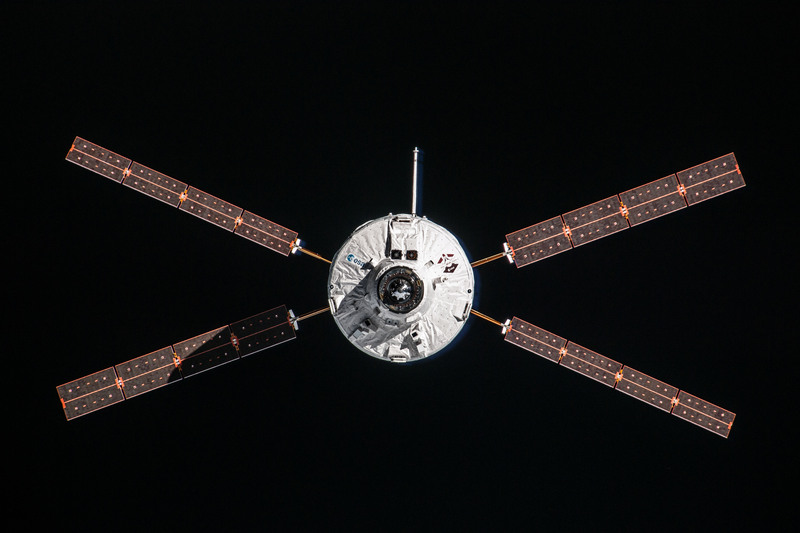 During the mission, the European service module will detach shortly before entry into Earth’s atmosphere.